More manufacturers are turning to emerging markets that hold high growth potential as maturing U.S., Europe and Japanese markets become saturated. Emerging markets including India, Thailand, and Russia hold many business opportunities for LED manufacturers, due to their high reliance on LED chips, components and package imports. The global lighting transition from incandescent bulbs to LEDs was spurred by governments’ decision to phase out incandescent bulbs. Developing countries are following developed countries incandescent bulb ban, India for instance rolled out a project in 2009 to replace 400 million incandescent light bulbs with CFLs by 2012. Local government incentives to lower LED bulb prices, such as those launched by Electricity Generating Authority of Thailand (EGAT) are also encouraging consumers to purchase LED bulbs. Over the past year, LEDinside observed several significant trends in India, Russia, Thailand and Brazil. In this article, LEDinside will address some of the significant market trends observed, and similarities these markets share. Government support and policies will continue to play a crucial role in these markets. There has been a lot of activity in the Indian LED market over the past year, as Indian states and municipals launch mega streetlight upgrade projects. The Indian LED market, which is valued at US $100 million in 2012 will see exponential growth, as the government rolls out more streetlight upgrade projects. On Aug. 26, 2014, the country’s Union ministry of urban development announced a proposal of replacing 27.5 million streetlights to LED and help the country slash more than 5,000 MW of electricity consumption over a period of three years. The country has appointed the Energy Efficiency Services Limited (EESL) to support the LED streetlight upgrade. Many Indian states and municipalities have announced plans of replacing less energy efficient lighting with LEDs, such as Andhra Pradesh State, Agartala, The Greater Visakhapatnam Municipal Corporation (GVMC), and Kolkata Municipal Corporation (KMC) all unveiled plans of replacing LED streetlights. More recently, Indian capital New Delhi has announced a pilot project to replace 500, 000 streetlights with LEDs. Delays in streetlight replacements, however, caused issues in a couple of states. India’s Nashik Municipal Corporation (NMC) even revoked LED streetlight upgrade plans, due to suspected corruption. Despite minor setbacks, it appears the outdoor LED streetlight market in India is prospering because of government support. The LED market in India is largely driven by government demands for streetlight upgrade projects, which is estimated to be around 51%, said Deepak Loomba, Managing Director and CEO of De Core Nanosemiconductors in late January with LEDinside this year. Other incentives launched by the government include India’s Bureau of Energy Efficiency (BEE) and Energy Efficiency Services Limited (EESL) decision to sell LED bulbs at less than Rs. 10 (US $0.16) to promote cheap LED lighting to communities living in poverty. The Indian government is trying to turn around its overreliance on LED imports with policies to encourage both foreign and domestic manufacturers to establish LED Fabs under the MSIPS (Modified Special Incentive Package Scheme) to provide cash grant of up to 20% of the cost of project to companies that set up semiconductor fab in India subject to a minimum initial investment of approximately US$ 50 million. Another incentive has been Preferred Market Access Policy of Government of India, in which the Indian government provides 50% of tendered quantity of LED products procured by the government to companies that do at least 50 percent value addition through manufacturing in India. To further reduce reliance on LED imports, a total of US$ 2.5 billion has been injected into two major semiconductor subsidy programs, including the ST Microelectronics Fab in Gujarat. More manufacturers are also vying the country’s promising LED market, which still depends highly on LED package and chip imports. Most of the LED chips found in the Indian market are Philips or Nichia’s LED chips. “Philips has a 65 percent share in the lighting market in India,” said Loomba. Even the GaN LED market is dominated by large foreign manufacturers including Cree, Nichia, Samsung, and Osram. Even Everlight and Epistar have started entering in the market. Attracted by high market potential, over the past year more international manufacturers have entered the Indian market. Japanese LED manufacturers Toshiba and Panasonic are some of the top LED makers that have decided to enter the Indian market this year. Panasonic has used a very traditional distributor business model to enter the Indian market. Through its local distributor Anchor Electrics, Panasonic has set up two retail experience shops in the country this year to allow consumers test products. Toshiba’s approach has been very different from most competitors in the Indian market. In a market highly reliant on LED imports, Toshiba announced setting up an Indian manufacturing base through subsidiary GreenStar on Sept. 21, 2014. The company is targeting 40% YoY growth over the next five years to reach US $40 million. Its current LED revenue is $ 4 million in the Indian market. The Indian office will be serving other global market needs, and may also act as the future headquarters for Middle East and Africa operations, according to Yoichi Ibi, President and CEO of Toshiba Lighting & Technology Corporation. Even Chinese LED luminaire manufacturer Opple is vying for a piece of India’s residential lighting market. The company announced in September plans of entering the market, and will be the first major Chinese manufacturer to do so. The company will be investing a total of $9.05 million to $9.87 million for brand building, and establishing distribution channels in the local LED market. Opple’s intention of expanding in the lesser explored emerging markets can also be observed in its strategy in Thailand, where the company has been actively involved in the last three years. The Thailand LED industry shares many similarities with India, in which government support plays a key role, and the market sector is highly reliant on imported LED chips, packages and LED products. Basically, the upstream LED manufacturing sector is absent in these markets, with little involvement from local LED manufacturers. While the India government has launched related incentives to encourage the development of LED chip manufacturing, this remains to be seen in Thailand. Thai government incentives have mainly been to promote LED adoption in the consumer sector, with many subsidies aimed at making LED bulbs more affordable to the average consumer. The country’s Electricity Generating Authority of Thailand (EGAT) and Provincial Electricity Authority (PEA) are some of the major government agencies that are promoting LED lighting in the country. Both agencies launched consumer-friendly initiatives to encourage more people to adopt the new lighting technology. The effect of EGAT’s energy label EGAT No. 5 launched in 2013, which is similar to U.S. Energy Star has taken effect in 2014. Products that meet the standard can receive EGAT subsidy, which pushed down LED 5W and 7W bulb prices to 115 and 125 Thai baht ($3.81and $3.96) respectively, and has greatly raised the popularity of LED products in the country, said Shanshan Wei, Sales Manager, Thailand, Opple at EcolightTech Asia 2014 in Bangkok, Thailand in mid-November 2014. LED tube prices have plunged to lower than the EGAT prices in 2014. To lower LED bulb prices, EGAT and PEA have respectively launched their own brand of LED bulbs. 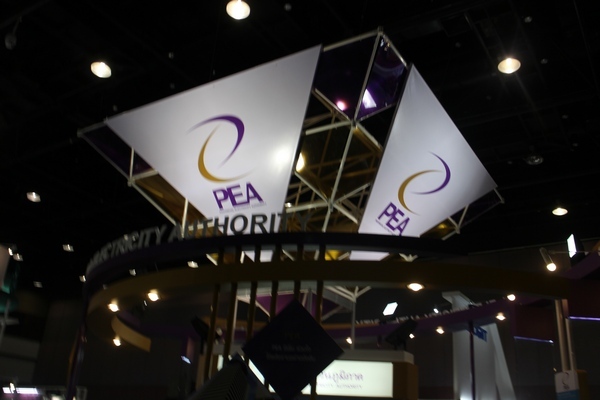 Following EGAT’s lead, PEA also launched its own brand of LED bulbs that are being outsourced to Chinese LED manufacturer Fory. The bulbs are being retailed at low prices of 190 Thai Baht to promote the usage of LED bulbs. However, LED’s high upfront costs are still preventing Thai consumers from fully embracing the new lighting technology. LED lighting’s market penetration in Thailand is merely 10% to 15%, said Vincent Chang, Manging Director, Glaring International. In the price orientated Thai LED market, T5 LED tubes and LED bulbs remain highly popular lighting products. Besides promoting low-price LED bulbs, PEA has been the main player in promoting LED streetlights in Thai provinces, and will be rolling out a comprehensive three phase streetlight upgrade project to replace 4 million inefficient high pressure sodium lights with LEDs, said Director Niwat Chayakul, the organization's Director of Power System and Research Development Department. In the current stage, the country is completing the installation of 1 million LED streetlights, but by second phase streetlights in highways will also be upgraded to LED lights. Nearly 90% of LED products in Thailand are imported from China or other countries. Most Thai LED manufacturers are OEMs or ODMs, and tend to assemble imported LED components in the country rather than manufacture LED chips and other crucial components. The Thailand government estimates the country’s LED market size is about 80 billion Thai baht (US $2.44 billion), and has a projected growth rate of CAGR 30% in the next five years. 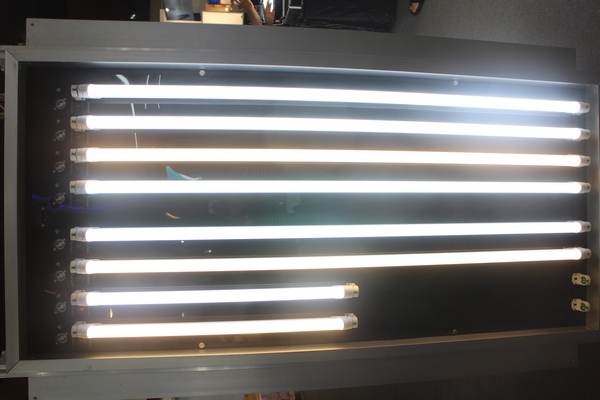 However, a couple of the more ambitious Thai LED manufacturers LEDinside spoke to during EcoLightTech Asia 2014 are planning to make their own LED components. TP Halo, for instance will be establishing a LED package plant near Bangkok, while Hatari is working with German manufacturers to develop its own LED wafers and chips. In many emerging markets, traditional Dutch lighting manufacturer Philips tends to have the largest market share. This was also observed in Thailand. According to Hein Van Ameringen, CEO of Lioris Asia, Philips has an 80% market share in the Thai LED lighting market, while the remaining fragmented 20% market share is split between remaining lighting manufacturers. However, Thailand’s unstable political situation might slow down LED market developments. Despite the government’s optimistic forecast for Thailand LED market growth, the country’s overall GDP growth is less than 2% this year. Since the Royal Thai Armed Forces coup d'état in late May 2014 this year, there has been a huge delay in government projects. Commercial construction projects have also slowed down, as investors remain speculative. Furthermore, rising commercial real estate rental fees will make it difficult for manufacturers that depend on conventional retail channels. On a positive note, Thai LED manufacturers are expected to benefit from the kickoff of the ASEAN agreement in 2015, since it will open access to neighboring country markets. Some Thai LED manufacturers are planning to expand their presence in the Southeast Asian market, such as in neighboring Vietnam and Myanmar after the ASEAN agreement comes into effect. The Russian market is very different from emerging Southeast Asian markets, where foreign players, such as Philips tend to have the largest market share and market penetration rates remain low. 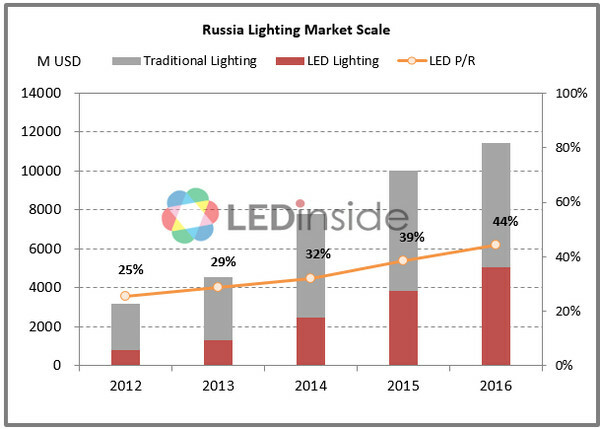 Russian LED manufacturers have at least 30% market share in different market applications, according to a survey by LEDinside. LED-based products in Russia make up 37% of general lighting and is valued at US $714 million, said Sergey Borovkov, Managing Partner at Lighting Business Consulting LLC in Russia. The market is projected to increase 83% to reach US $3.7 billion by 2020. Additionally, LED bulb prices are also much higher in the Russian LED market. In Russia a 60W equiv. LED bulb can be priced 30% to 40% higher than its counterpart in Taiwan, said Roger Chu, Research Director, LEDinside. Russian consumers are also accustomed to these higher price tags. The Russian market still shares a few similarities with other emerging markets, namely its reliance on government incentives to spur LED industry developments and high dependency on LED component imports. The Russian government subsidy approach has mostly been through large scale infrastructure projects, such as The Russian Railway Corporation (RZD) decision to retrofit all railway station lighting with LEDs. Another ongoing project has been a major Russian gas line project, The Power of Siberia, which is a 4,000 kilometer long cross nation gas pipe line to deliver gas from Russia to China. Lighting demands in the project launched in 2012 amounted to 2 billion Russian Rubles (US $60 million) out of the total 2 trillion ruble project, and is expected to be completed by 2017. Chinese LED manufacturers have been fairly quick in deploying market strategies in emerging markets, especially in Russia. The two sides have been in close cooperation Alexey Gruzdev, the Russian trade representative to China, even toured China in August 2014 to attract more LED manufacturers to invest in Russia. Russia has quickly become China’s second largest LED export market, according to China Solid State Lighting Alliance latest statistics. Economic sanctions implemented by U.S. and Europe on Russia for sending troops into Ukraine has also cast an uncertain shadow over the country’s LED industry development. As the Russian Ruble value continues to spiral downwards, LED import costs have also soared. This presents certain potential challenges for the local LED industry, but might also create market opportunities for foreign manufacturers. Lastly, LED lighting and display demands are expected to remain high in Brazil till 2016, as the country begins major infrastructure constructions ahead of the 2016 Olympic Games to be held in the capital Rio de Janerio. Philips, GE and Osram have already benefited from the 2014 World Cup lighting projects in major sports stadiums including Sao Paulo Stadium which replaced 34,000 lights with LEDs. Chinese LED display manufacturers such as Aoto Electronics have also thrived from the World Cup 2014 projects. Although, exact market figures remain elusive in the Brazil market. Plenty of initiatives have been launched to replace city streetlights. The Climate Group and others are working hard to promote Brazilian cities adoption of LED streetlight technologies. Under the Climate Group’s proposed action plan, representatives from six Brazilian cities including Sao Paulo and the state of Rio de Janiero plan to replace 750,000 street lamps. Sao Paulo alone will be upgrading 500,000 lamps, and has already replaced a significant number of traffic lights with GE LED lights. 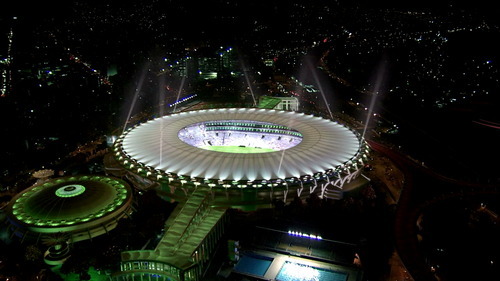 GE Lighting lights up Sao Paulo Stadium with LEDs ahead of World Cup 2016 games. However, the country’s future LED market outlook remains uncertain. With major infrastructure constructions easing after the 2016 Olympic Games, whether the country can keep up high LED growth rates remains questionable. Unlike Thailand and India, Brazil has not launched any initiatives to encourage consumers to adopt the new lighting technology. In conclusion, emerging markets share some common characteristics, such as reliance on imported LED luminaires, but remain distinctive because of consumer preferences and different government policies. The LED industry can thrive in India, Thailand and Russia where there is strong government support, but in Brazil more observation is required.